Fab, Fit & Fun for Fall means a new box! With Mother’s Day only a few weeks away, I’ve been thinking about what to get my mother (sorry Mom – this is when you should stop reading). One thing she likes is interchangeable jewelry by Chamilia. Disney Parks have carried a variety of their interchangeable beads and bracelets for a few years now. 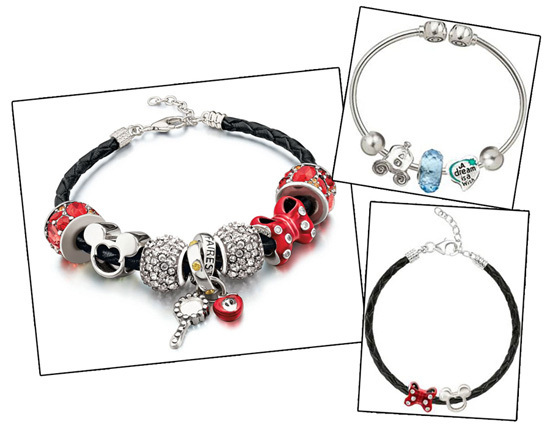 We even offer some Disney Parks-exclusive beads inspired by Disney Princesses like Cinderella, Snow White and Ariel. I spoke with Denise Edelmaier, merchandiser for jewelry at Disney Theme Park Merchandise, about the appeal of Chamilia jewelry at Disney Parks. If you are unfamiliar with Chamilia, we are holding a trunk show at Tren-D in the Downtown Disney Marketplace at the Walt Disney World Resort on May 3-4, 2013. Representatives from Chamilia will be at this show each day from 10 a.m. to 2 p.m. and 5 p.m. to 10 p.m.
One cool thing that the jewelry team is introducing at the show is a unique Disney Parks starter bracelet. The bracelet will contain a few beads, which can jump start a bead collection. I’m excited to see they are introducing a red Minnie Mouse-inspired bow along with a cupcake bead that has a Minnie Mouse-inspired bow (she is my mother’s favorite character, and, with that, Mother’s Day shopping is done!). Finally, Denise shared that she is working on a few additional Disney Parks-exclusive beads for later this year (fans of Disney’s “Beauty and the Beast” will be happy). 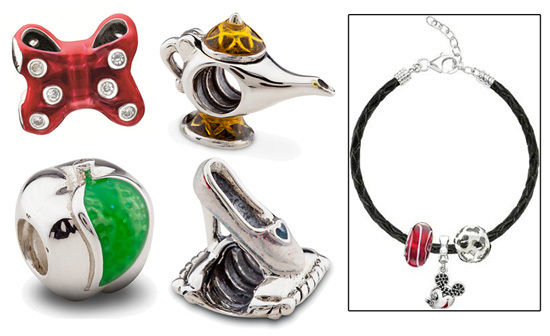 If you can’t attend this event, you can find a small selection of Chamilia jewelry on our Disney Parks online store.